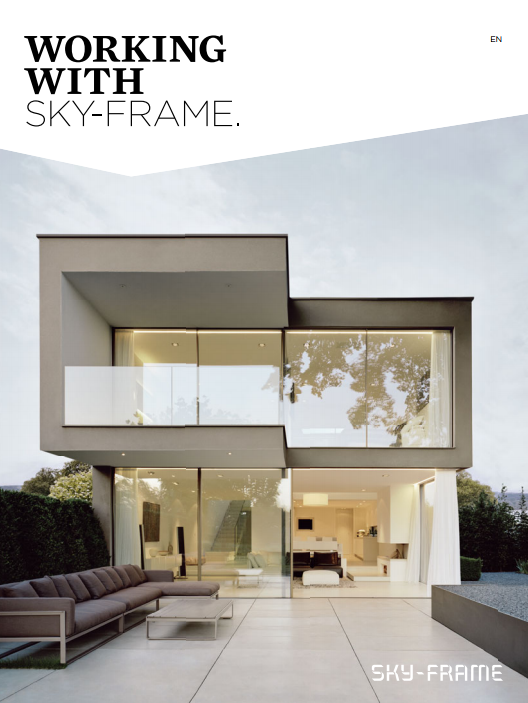 We are proud to be a sales partner and certified installer for Sky-Frame in Portugal and Spain. The Swiss brand developed the finest frameless glass system collection in the industry – luxury frameless sliding windows that combine Swiss engineering with timeless appeal. Shape of the frameless glass systems. Sky-Frame Classic sliding Windows have the timeless appeal of the rectilinear window assembly. Sky-Frame Arc sliding elements are used to create curved glass fronts and organic features. Sky-Frame Slope sliding windows can be installed with an inward or outward inclination. Thermal and sound control requirements can be chosen between the 3 levels of technology. Single-glazed Sky-Frame 1 is 12 mm thick and has sliding seals, making it suitable for applications without thermal insulation requirements but with a high level of sound control. Sky-Frame 2 technology is the most popular solution, with its 30 mm, thick double-glazed insulating glass assembly, offering excellent sound and thermal control standards. The Sky-Frame 3 meets the highest standards with 54 mm thick insulating glass with triple-glazed elements, thus offering extra stability and an even greater resistance to wind loads. Fly insect screen fully retracts out of sight, when not in use. Electric drive at the press of a button. Burglar resistance - additional components can be fitted to meet special security requirements. The Sun venetian blind system offers a solar shading solution. Be advised by an Official Sky-Frame Partner. 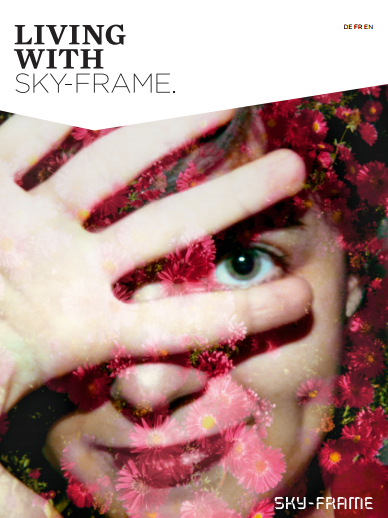 Ask us for more information about Sky-Frame Products.